Nutmeg State Financial Credit Union has 11 offices in Connecticut and hundreds of free ATMs nationwide through its SUM and CO-OP networks. Its small business offerings include business savings and checking accounts, lending, merchant services, wealth management, payroll, business insurance, and more. Nutmeg State Financial Credit Union is rated D- by the Better Business Bureau and two stars on Yelp. 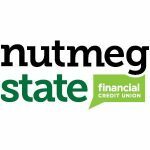 To be eligible to become a member of Nutmeg State Financial Credit Union, you must live, work, worship, attend school, or volunteer in Hartford County, Middlesex County, Tolland County, New Haven County, or the towns of Shelton, Stratford, and Bridgeport, Connecticut. Membership is also open to spouses of current members, immediate family of current members, and employees of the credit union. Ready to get started with Nutmeg State Financial Credit Union business checking? Apply now. Nutmeg State Financial Credit Union has 11 offices in Connecticut. Its members can also access their funds from hundreds of surcharge-free ATMs nationwide through its SUM and CO-OP networks. You can use its branch locator to check which locations are closest to you. Nutmeg State Financial Credit Union also offers the following business services: business savings and money market accounts, credit cards, wealth management, and lines of credit, as well as different types of business lending, such as term, SBA, commercial vehicle, real estate, and mortgage loans. Find out more about its small business offerings on its website.